Thomas: I wasn’t sure where the Nike Zoom Vomero 12 would fit into the Nike running shoe line-up. It looks a lot like the Pegasus at first glance. The big visual difference is in the thick midsole. 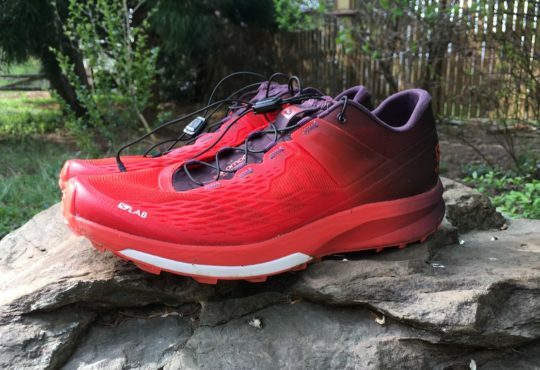 The Vomero 12 stands apart from the Pegasus by being even more cushioned. The ride in the Vomero 12 is plush. The outsole has grippy nubs of soft rubber that act like mini shock absorbers. The heel has a little tougher rubber, but the rubber still feels softer than the outsole rubber on the Pegasus. The midsole is soft and seems to get softer after a few miles. The Zoom units are easy to feel in the heel and midfoot of the Pegasus, in the Vomero the zoom units are not readily noticeable. They are hidden in all the cushioning. Vomero 12’s upper is pretty close to flawless. 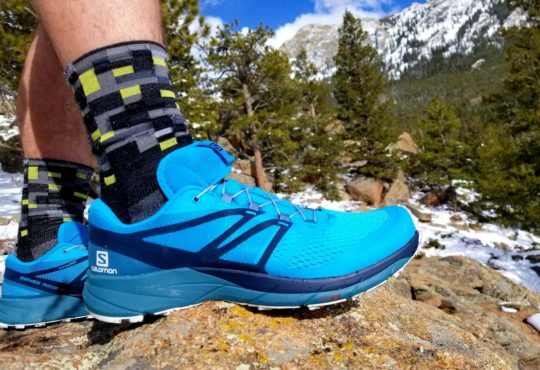 Soft as a sock in the toebox, the collar sits just right around your ankle, and the heel counter locks your foot down gently with no irritation on the Achilles. The lacing runs through Flywire, and the Flywire loops through wider flatter bands that hold your foot in snuggly over the arch. It would be hard to find a more comfortable upper with this much functionality. I was provided an all black color Vomero to review. The look of the shoe is appealing, I have seen it in all navy and find that equally sweet. Similar to the Pegasus, the Vomero 12 has a fully reflective heel that is hard to see until light is striking the material. 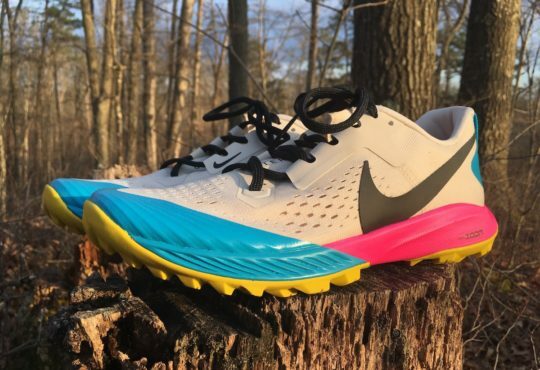 Meaghan: I’ve never tried the Nike Zoom Vomero, but the latest version (v12) is apparently an over-hall from it’s predecessor, so it’s a moot point. The Vomero 12 is Nike’s most cushioned trainer. 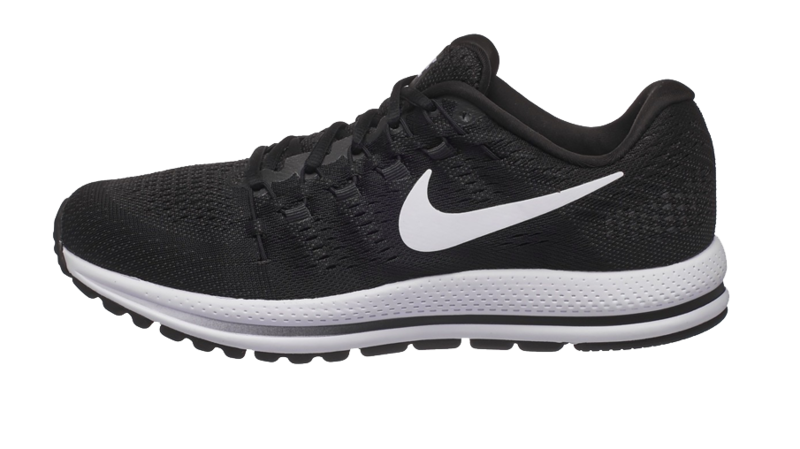 The upper is made of a single-piece engineered mesh with a lacing system that looks like a combo of flat and round Nike Flywire cords. The laces do a nice job of locking the foot in place, comfortably. You can tie the laces as tight as you want and the extra material on the tongue protects the top of your feet. Overall, the upper is just super comfortable and I didn’t have any issues with hot spots or rubbing. Added bonus: the extra plush upper has been particularly nice during the winter months. The midsole is designed with a soft lunar foam core and two air zoom units, all encased in a rubber outsole. One Air Zoom unit is in the forefoot and one in the heel. I didn’t find these units to be super noticeable (in terms of responsive/springiness), but the general feel underfoot is nice. I was expecting this shoe to be real heavy, given all the cushion and plush upper. My W7.5 weighed in at 8.65 oz. Not super light, but not bad for a cushioned trainer. Thomas: Weight. The Vomero 12 weighs 11.2 oz. for a size 10.5. There has to be a way so shave at least an ounce out of this shoe. If Nike can figure out how to do that, this shoe would be something very special. The interesting thing is, I have recently reviewed shoes around the same weight that felt heavier. So while the shoe is heavier than I prefer on the scale, it doesn’t feel as heavy on the foot. It rides like a lighter shoe. I have come to the conclusion that the way the weight is distributed makes a big difference in how heavy a shoe feels. Meaghan: While I love the lacing system, I don’t love the laces on this shoe. I prefer thin, flat lacing (both for aesthetics and secure-fit), but it’s hardly a deal breaker. Although I typically prefer shoes under 8oz, the weight of this shoe doesn’t bother me so much. Thomas: If Nike shoes work for you and you want a seriously cushioned trainer, the Vomero 12 fits the bill. Despite the weight, I really like running in these shoes. I have been pairing these with the Nike Zoom Elite 9 with great success. The Elites are super for fast days, while the Vomero provide a gentle ride for recovery runs and miles without pace goals. 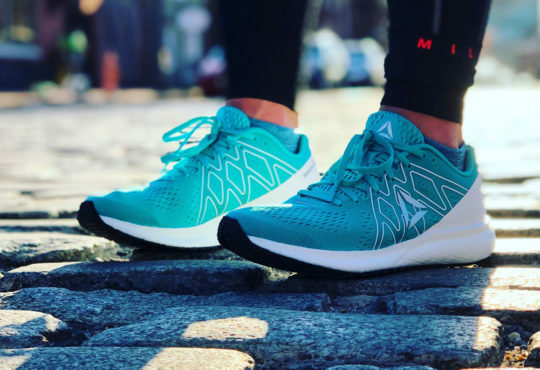 Meaghan: If you like all around “cushy” shoes, (thinking: Saucony Ride, Brooks Ghost) then you’re going to dig the Nike Vomero 12. This is by no means my favorite shoe from Nike, but it’s a solid trainer. And the shoes are built to last. After 55+ miles, the Vomero has no sign of wear. 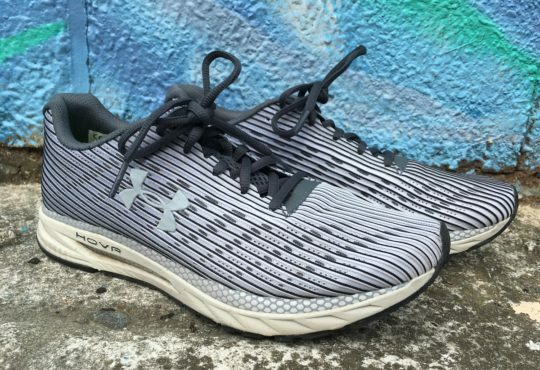 Between the quality upper and durable rubber outsole, you’ll easily get hundreds of miles out of this shoe. I have Vomero 12 and I am quite happy with these trainers. 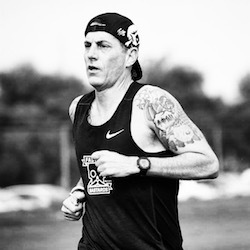 I am looking for something more responsive for half marathons. 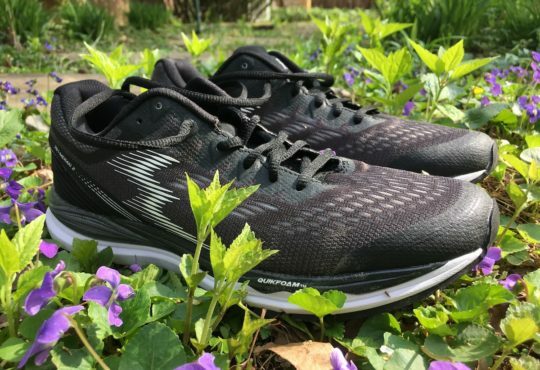 I read up on Nike Zoom Elite 9 and was wondering if you would recommend the same size as Vomero 12. I usually pick 7, 5 UK women’s size. However, Nike’s 7,5 UK is 10 US. For most other shoes 7,5 UK is 9.5 US. My Vomero’s are bit roomier, but I do not mind, as they are for longer slower runs. Yet, I was wondering what size would you recommend for more responsive shoes as Elite 9. Hi Katarina, I recommend going up a half size in the Elite 9. I lost two toenails after running a marathon with them. Great shoe otherwise.